Finding healthy snacks is no easy task, especially when you’re always on the go. CLICK HERE to jump to the 1st snack! But making smart snack choices will help you stay on the right track and prevent you from consuming too many calories. Eating well doesn’t have to be boring either. 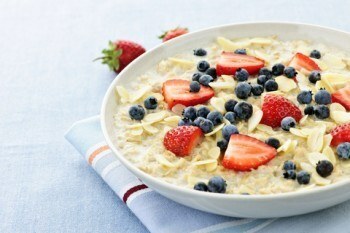 With just a little of inspiration you will discover that food that is good for your body does not have to taste dull. Here are 15 best that you will love enjoying. 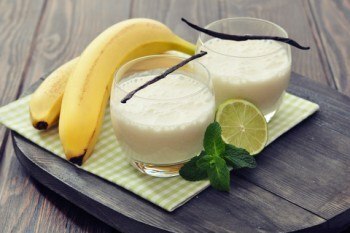 Vanilla and banana pair perfectly together in this delicious smoothie that will keep you energized even after a hard workout. 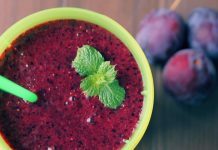 Unlike other smoothies, this recipe is incredibly simple and made with stuff you probably have in your kitchen already. Note: Frozen fruit also work well! 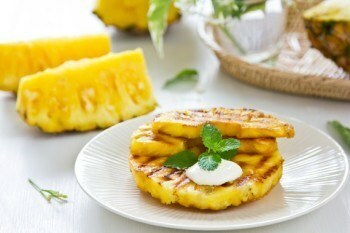 Grilling pineapple brings out its sweetness. This recipe pairs this hot delight with savory cinnamon for the ultimate afternoon treat. Slice the pineapple into thick rings and set them aside. In a medium-sized bowl, mix together the cinnamon and the brown sugar. Sprinkle each side of each ring with the above mix. Grill these for 5 minutes on each side. Extra advice! Because this is such a sweet fruit, you can omit the sugar if you wish. The snack will still be sweet and delicious. Almonds are packed with protein, healthy fats and Vitamin E. Cranberries are a great source of antioxidants and promote proper bladder function. When paired together, these make the ultimate sweet and salty snack. 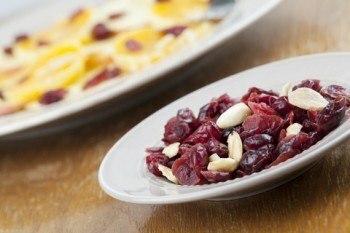 Try this modified version of Sandra Lee’s Spiced Cranberries and Almonds for a healthy but tasty snack. Melt the coconut oil and maple syrup over medium heat. Add the almonds, cinnamon, nutmeg, clove and coconut flakes to the mixture. Spread the mixture on a greased cookie sheet and bake for 20 minutes. Transfer to a bowl and serve cool. This is a winning pair in this simple recipe that calls for just a few ingredients. 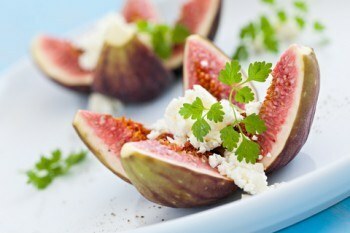 The sweetness of the figs melds awesomely with the creaminess and saltiness of the goat cheese. Their portable size makes them the perfect snack for when you’re on the go. Rub each fig with olive oil. Create a 3/4 inch, X-shaped cut in the top of each. Pry open its edges gently and stuff each one with 1 teaspoon of goat cheese. Place them upright on a baking sheet and bake for 10 minutes. Drizzle honey on top and enjoy. 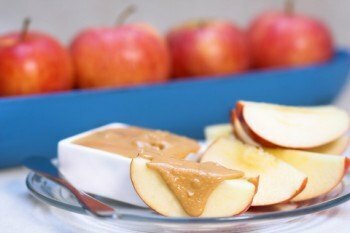 This on-the-go snack is so simple to make, yet so delightful. 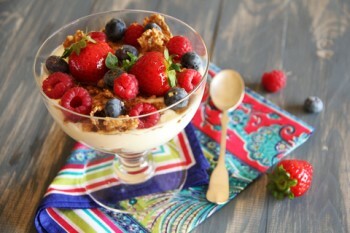 Mix a serving of plain Greek yogurt with your favorite fresh berries. Extra advice: Strawberries, blueberries, blackberries and raspberries are great choices. This combination is a classic kid-friendly snack that even adults love. It’s the perfect mix of salty and sweet. Slice up a fresh, ripe apple. Serve it with a tablespoon or two of peanut butter. Just like peaches, plums are sweet and juicy; the perfect summer-time treat. When roasted and paired with cinnamon, you have a healthy, portable snack that tastes just like dessert. 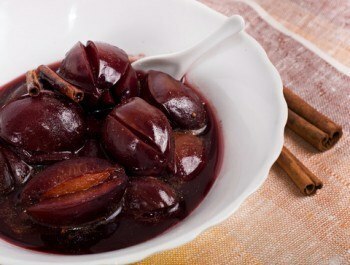 Cut each plum in half, and remove the pits. Place the plums, skin-side down, in a baking dish. 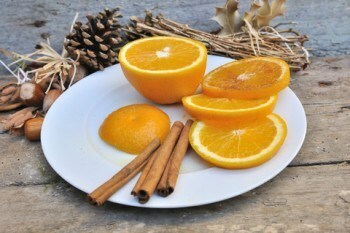 Sprinkle with cinnamon, sugar and lemon zest. Roast for 30 minutes and serve warm. This is not just for breakfast; it makes a great healthy afternoon snack too. Cook your oatmeal as you normally would. Top it with fresh fruit. Extra advice! Blueberries and raspberries pair well with nutty flavor of this meal. Who said sweet stuff can’t be healthy? 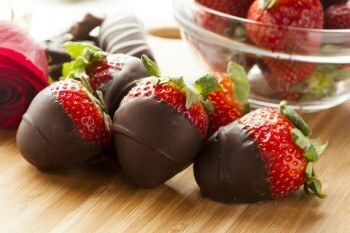 Dark chocolate covered strawberries are a sweet indulgence that can be enjoyed anytime, anywhere. Dark is the healthiest choice. Using a double boiler, melt the chocolate. Stir occasionally until it is smooth. Place a toothpick through the center of each strawberry. Holding each strawberry by the toothpick, dip each one into the above mixture. Turn the strawberries upside down and allow them to cool. This snack is incredibly easy to make and perfect for a busy afternoon at the office. Simply peel and slice an orange into rings. Sprinkle them with ground cinnamon and just a pinch of sugar. Turkey is a healthy alternative to beef jerky and surprisingly easy to make at home. 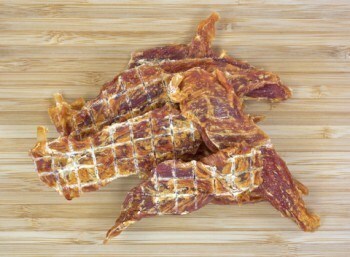 In fact, you don’t even need a dehydrator to make your own tasty jerky. Mark’s Daily Apple has a great recipe and instructions on how you can make your own turkey jerky in your oven. This Mediterranean-inspired snack is the perfect treat for a summer afternoon. Simply slice up some mozzarella cheese (choose skim-milk one if you’re trying to cut back on fat) and ripe tomatoes (Roma are excellent). 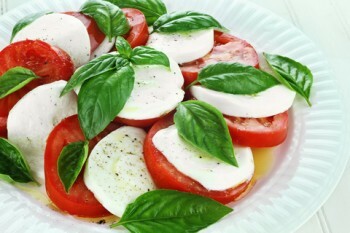 Top with ribbons of fresh basil and a drizzle of extra virgin olive oil. Additional advice: If you cannot find fresh one, dried will work in a pinch. 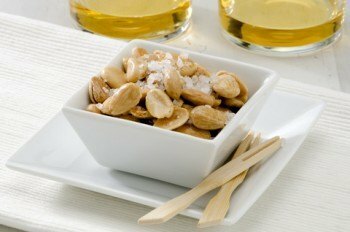 Another simple and tasty snack is roasted and salted almonds. Mix a cup of almonds with a tablespoon of coconut oil. Roast it at 350 degrees F for 10 to 12 minutes. Allow them to cool and enjoy. These are surprisingly easy to make at home, but you will need a mandolin or a food processor to get thin slices. Simply peel and slice one russet potato. Toss it with extra virgin olive oil, a dash of salt and a teaspoon of dried garlic. Arrange the slices on a baking sheet and bake for 15 – 20 minutes at 375 degrees F.
Sprinkle the cooked chips with a teaspoon of either fresh or dried rosemary. These chips are a delicious yet incredibly healthy snack ideal even for parties. 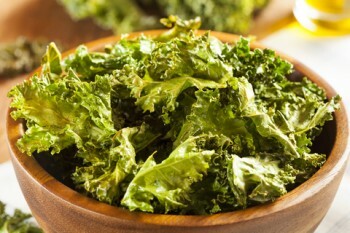 Take one bunch of kale and carefully remove the leaves from the stems. Tear into bite-sized pieces. Wash and dry it. Use a salad spinner if you have one. Drizzle these chips with olive oil, a pinch of sea salt and crushed red pepper. Looking for more healthy treats on-the-go? 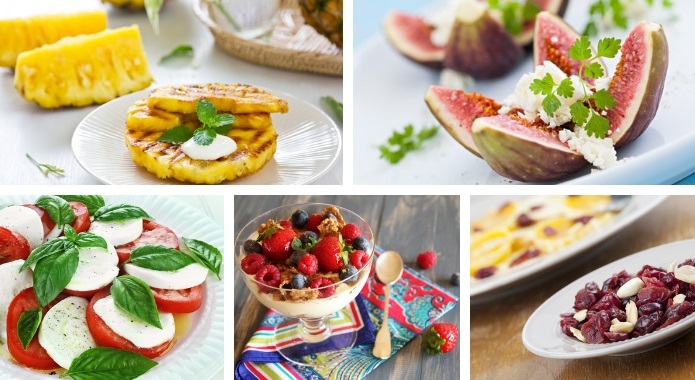 These apps can help you find the perfect recipes to satisfy your afternoon cravings. 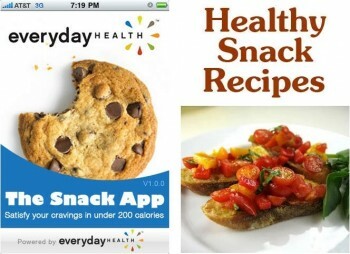 The Snack App – This application was created by the experts at EverydayHealth.com. What is more, it helps you find snacks according to calorie counts and craving type, such as salty, sweet, cheesy or creamy. There’s also a “Surprise Me” category for those moments when you just don’t know what you’re craving. Aside from instructions, the app also provides helpful tips for making healthy choices and ideas for burning calories. 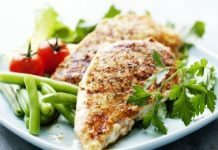 Healthy Snack Recipes – This one shares with you hundreds of great recipes and nutritional information. This application also provides helpful YouTube videos for these. You will find directions for tasty stuff like cheesy popcorn, cottage cheese veggie dip, chocolate crunch and even indoor s’mores. Now you can indulge in your favorite foods without feeling guilty. 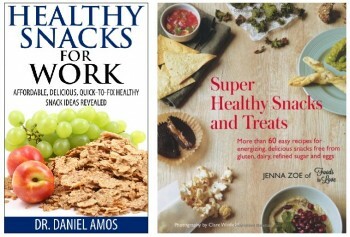 Healthy Snacks For Work by Daniel Amos – This eBook offers affordable and super simple directions for guilt-free treats you can bring to work. Not only are these easy to fix, but they’re loaded with essential nutrients that will keep you energized throughout the day. These are the 3PM pick-me-up you need. Super Healthy Snacks & Treats by Jenna Zoe – Packed with more than 60 easy recipes, this cookbook is the ultimate guide to guilt-free snacking. Inside you’ll find stuff that will energize you and satisfy your cravings. These include gluten-free, dairy-free, sugar-free and egg-free options. 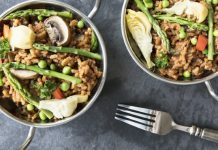 Cooking Light – CookingLight.com is a great source for healthy but creative ideas. You’ll find instructions for hummus, peanut butter chocolate dipped pretzels and even chewy caramel apple cookies. The best part is that all of these delicious snacks are easy to make and good for your body. 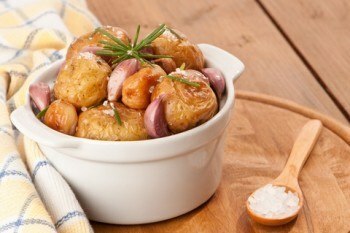 Taste of Home – TasteofHome.com offers plenty of awesome things to satisfy your salty cravings. Each one includes nutritional information and reviews from others who have tried each treat. Try the Cajun Popcorn or Spicy Almonds.